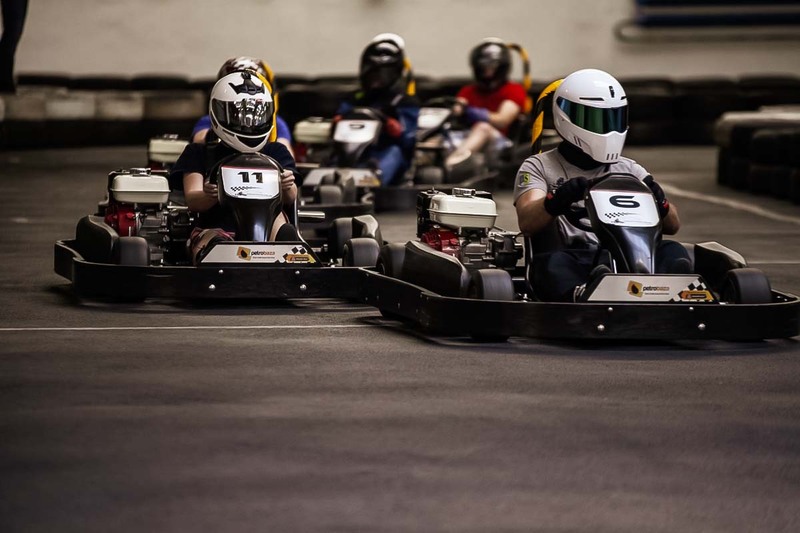 To get the best racing experience you should try karting in Poland! 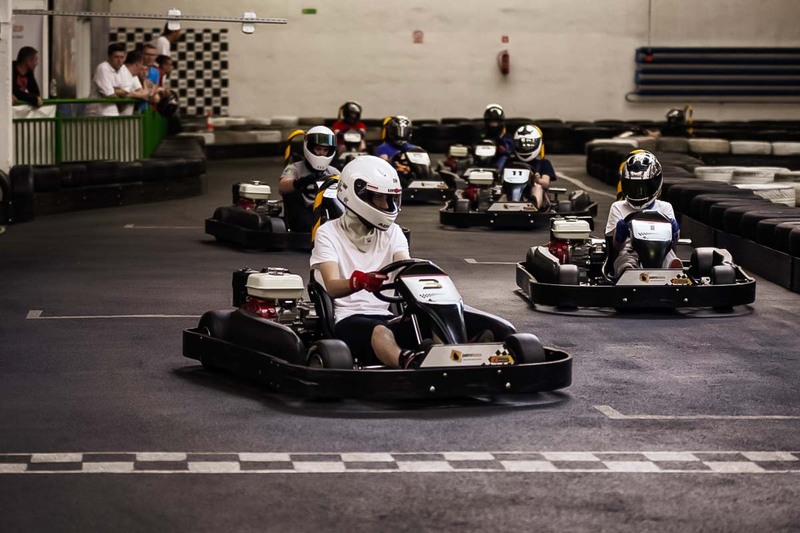 We provide maximum enjoyment and a spot of friendly indoor go karting competition, so whether you are visiting Wroclaw with friends or family, planning a corporate event, or organizing a bachelor party – just do it with us and get yourself an extreme adrenaline sporting competition. 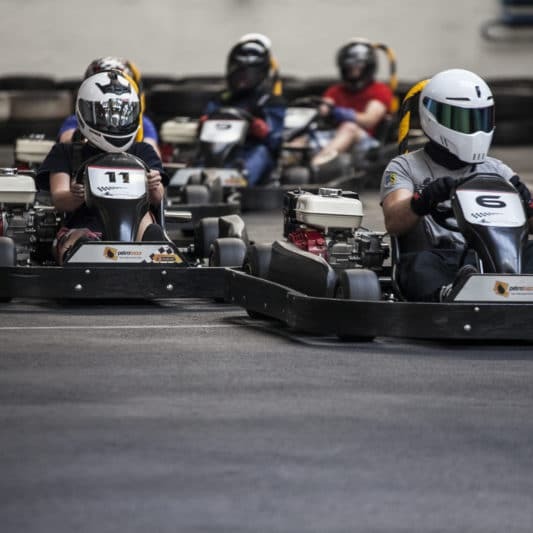 After the race, enjoy the rest of your day by the bar drinking and celebrating your score right next to the track. There, you will be able to play billiard, darts, popular board games and use football table! Try the amazing blink.pro – a device that tests reflexes and coordination (also in challenge mode). 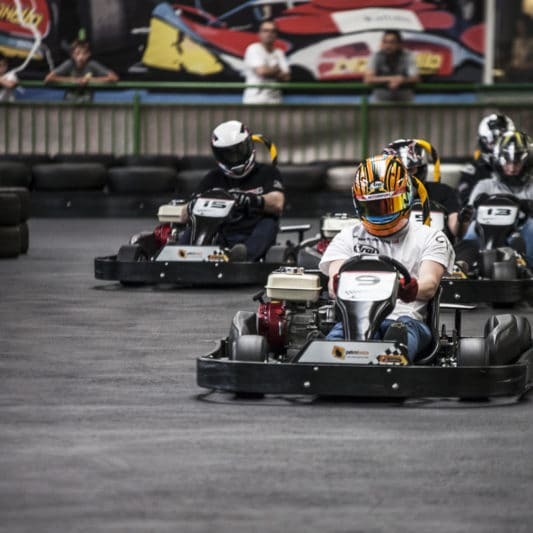 Treat yourself and book our great activity now! 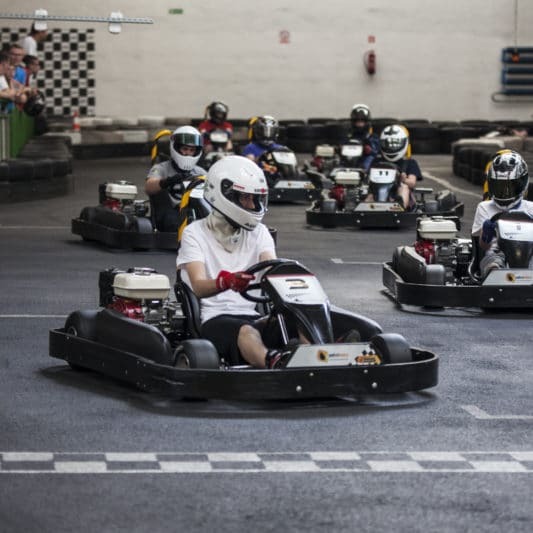 You will be trained by our English-speaking staff, making sure everyone learns the driving skills fast. After a short introduction, you will be ready to handle these small devils with your friends. 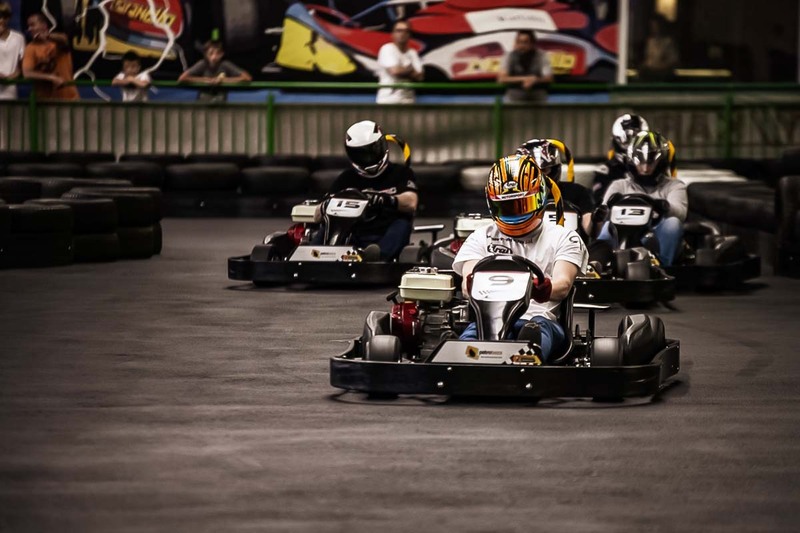 If you are in a big group and want to have the full race track only for you, contact us.